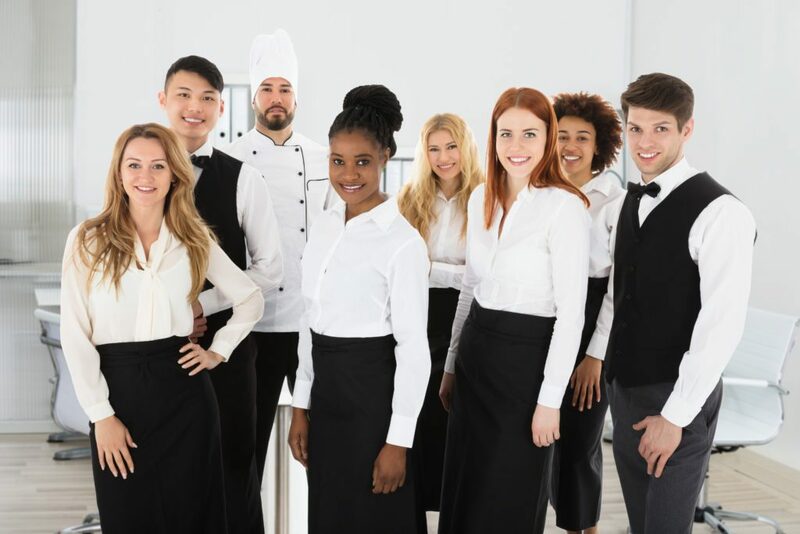 However, for some workplaces, especially hotels, guesthouses, and others in the hospitality industry, the standard course doesn’t quite satisfy the specific requirements. You may not require a full 3 day First Aid at Work course for all of your staff, but the standard EFAW doesn’t go far enough. Our 7-hour Hotels First Aid course is perfect if you work, in a ‘Low Hazard hospitality environment. Designed by our hospitality expert, the course covers basic first aid techniques and skills, and the roles and responsibilities of the first aider, and is usually completed in a single day. With the flexible extra time, you could perhaps add treatment of anaphylaxis, serious burns, and poisons, to the standard course content. Discuss with us what your specific requirements are at the time of booking. *Please note that those working in ‘high hazard’ situations within the hospitality sector, should still complete a 3 day First Aid at Work course if your First Aid Risk Assessment suggests this would be appropriate. Contact us to enquire about running a private Emergency First Aid at Work + Hospitality course at your venue. Tell us about your situation, and what extra content would be relevant to you. We’ll then deliver your course at a time and location to suit you and your staffing requirements. Cost effective, practical courses including extra content that will be relevant to your setting.